MADISON - Forty-eight Kentucky elk made the 14-hour overnight ride from Kentucky and have arrived at their new home in the Flambeau River State Forest in Sawyer County. 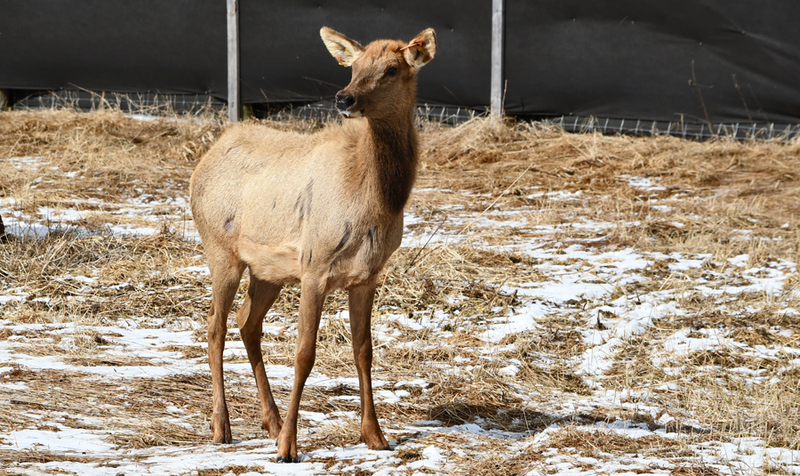 Once released into the wild, these animals will join more than 200 elk that make up Wisconsin's northern elk herd that resides in Ashland, Bayfield, Price, Rusk and Sawyer counties. "We are finishing the project with our most efficient and successful capture," Wallenfang said. "All 48 elk, most of them female, were captured by helicopter in just two days. Pregnancy testing indicates that most of the adult females are carrying a calf." The majority of funding during the final year of the reintroduction project is being provided by the Rocky Mountain Elk Foundation. Based in Missoula, Mont., the foundation has more than 25 local chapters in Wisconsin. Since the project's inception in 2015, contributors have also included the Ho-Chunk Nation, Jackson County Wildlife Fund, the Ojibwe tribes and several other agencies, local businesses and individuals. For more information regarding elk in Wisconsin, search the DNR website, dnr.wi.gov, for keyword "elk."